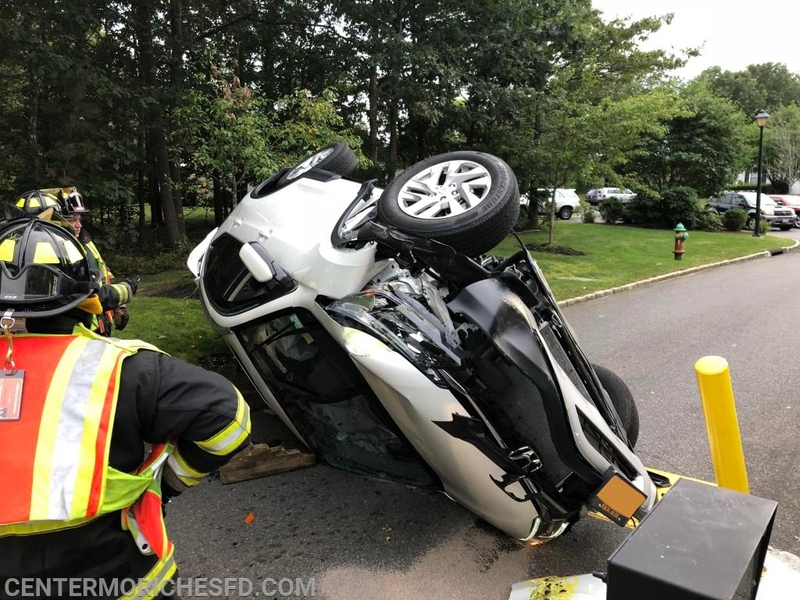 At 5:49pm Center Moriches FD was requested to an auto accident at the Mirror Pond Condos on Jerusalem Hollow Road. Emergency personnel arrived to find a single car on it side at the entrance to the complex. 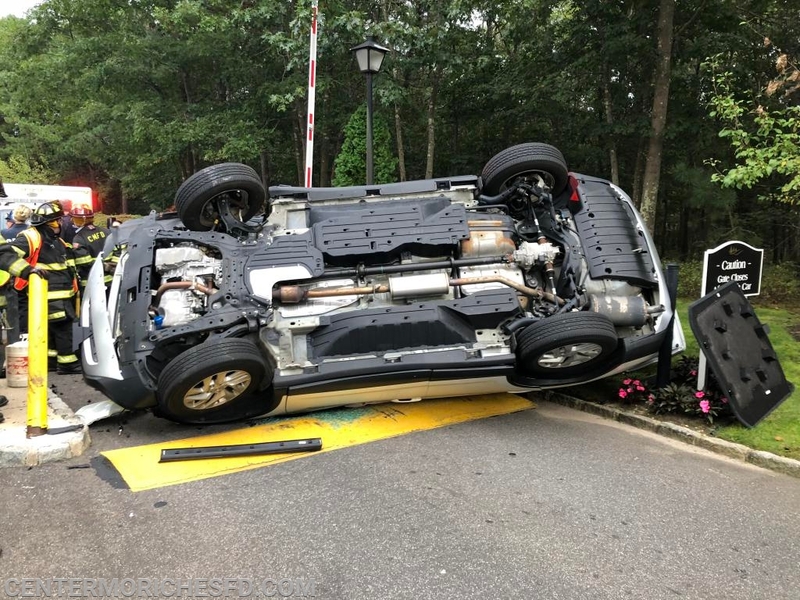 While firefighters secured the overturned vehicle, EMT’s treated the injured driver and transported him to a local hospital with non-life threatening injuries. The cause of the accident is under investigation by Suffolk County Police.